Jonas : BPCI & LCS battle continues. 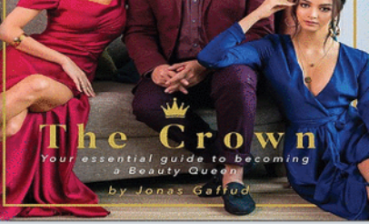 I applaud Jonas Gaffud on his effort to raise our flag in international beauty pageants almost two decades. He deserves all the credits no matter how controversial he is to other groups. In his announcement as the Creative & Events Director is just a consolation price, as a result of the franchise's tug of war between LCS Group & BPCI. You will see that there is division in MUP-BBPCI as when he made an announcement, there is NO ONE from BPCI who welcomed him as a part of the "family". Jonas may be a great pageant maker, but for creativity and events? ---That is yet to be proven. Some of the events he handled during the Miss Universe'16 in Philippines is not that spectacular and performances are even below mediocre. Stella and BPCI will be grounded all the time as Jonas is just waiting for opportunity to take the top spot for Franchise, they cannot be complacent, and the only way to place Jonas to his place is to continue the excellent national pageant by selecting best girls that will continue the streak in Miss Universe. 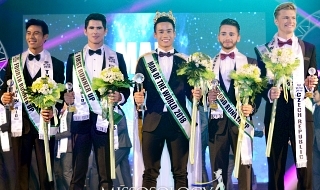 I am happy that Jonas is around, but his position in the MUP-BPCI is NOT that impressive, knowing what he actually love doing---which is to make a pageant winner. He is just a "reserve" and a person in charge for the eyes of LCS group for the most prestigious national beauty pageant in Asia & Pacific- the Bb. Pilipinas. Re: Jonas : BPCI & LCS battle continues. And i am kinda shock and disappointed with MUO. Total Unfair and unjust with the other countries competing in Miss Universe. It will definitely soon! May cause downfall to the popularity of the pageant. Di na sila dapat nakialam sa Philippine pageantry. Natutuwa ba sila sa mga kaganapan ngayon sa Bb. Pilipinas 2019? Nagkakagulo and soon warzone na ang Future ng BBPilipinas. Eeewww! 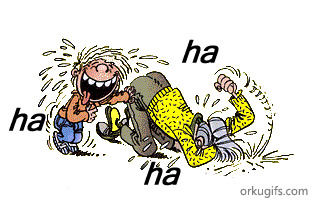 Naging laughing stock lang both BBP2019 organizers at pati na rin sila. Sooo cheap ng stint! I hate the scenario and definitely a not so good to follow. 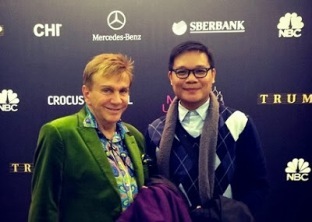 jhunz23 wrote: I applaud Jonas Gaffud on his effort to raise our flag in international beauty pageants almost two decades. He deserves all the credits no matter how controversial he is to other groups. I do not see a power struggle between BPCI and LCS. This is just a transition. Bakit kaya and daming bitter at inggit na inggit sa success ko? Hoy, baklang ahas na sinlaki ng kweba ang butas ng ilong, wag kang masyadong mayabang at feelingera... hindi lahat ng pagkapanalo ni Megan, Pia at Kylie eh dahil lang sa pag tetrain mo sa kanila... Nasa mga girls din yun... sa effort at determination nila... WAG KANG MASYADONG AMBISYOSA... pa aayos mo muna yang chaka mong ilong bago ka umeksena at bumida ng bumida... BOKLONG TOH !!! Also, I see you downplay his role here. You may say it's not impressive but on the CONTRARY, DIRECTORS call the shots. Jonas has a say now on anything related to Miss Universe Philippines. Last edited by Dona Chichay Del Aruray on Fri Apr 05, 2019 5:52 am, edited 1 time in total. Ligaya Magdalena wrote: Hoy, baklang ahas na sinlaki ng kweba ang butas ng ilong, wag kang masyadong mayabang at feelingera... hindi lahat ng pagkapanalo ni Megan, Pia at Kylie eh dahil lang sa pag tetrain mo sa kanila... Nasa mga girls din yun... sa effort at determination nila... WAG KANG MASYADONG AMBISYOSA... pa aayos mo muna yang chaka mong ilong bago ka umeksena at bumida ng bumida... BOKLONG TOH !!! You have to understand that at the end of the day, MUO is still a business and IMG wants profit and Im sure the franchise holders understand this. If they can give MUO a profitable business, Im 100% sure MUO will want a hand on them too. Last edited by kristoffer_s on Fri Apr 05, 2019 10:03 am, edited 1 time in total. What MUO doing right now is nothing new. Same strategy is being done with Miss USA since forever. So I'm not sure why other franchise holders would have issue with this. You have to understand that at the end of the day, MUO is still a business and IMG wants profit and Im sure the franchise holders understand this. If they can give MUO a profitable business, Im 100% sure MUO will want a hand on them too. Let's be honest, after the departure of Trump, Mejo naging alanganin ang future ng MUO. Even during the latter part of Trump Era, shaky na rin ang future ng MUO kasi wala ng gustong maghost ng event kasi hindi na sya profitable.Thanks to Trump nairaraos parin kasi he was using all his businesses to cover Miss Universe. This is what Chavit and LCS is doing now. Giving MUO business and keeping the MUO alive. Sa iba-ibang countries man iraraos yung event, the organizer will still be connected to Chavit. So reseach na kayo kung saan-saan yung mga businesses ni Chavit kasi malamang duon magaganap yung mga susunod na edition ng Miss Universe. Not sure why BPCI should be bitter about this. At the end of the day, damay paring sila sa flow ng money and that means profit for them. Franchise holder lang sila and MUO can take that away any time. I actually think its very nice on the part of MUO na iinclude pa rin ang BPCI when they can give it to someone else and hold a separate pageant. 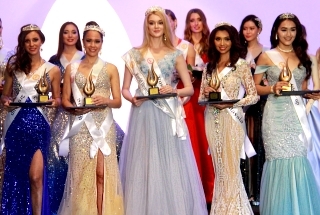 I think the dilemma on the part of BPCI is how the other pageants like Miss International etc. na may franchise sila see their future with them. With the separate handling of Miss Universe Philippines, these pageants must be feeling inferior right now. They have been trying to level up with MUO but with this move, they are surely not feeling the love from BPCI. What this means to the girls competing is that incentive is very high. 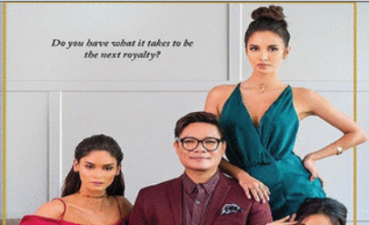 Even if they don't win Miss Universe, the fact that may stamp at attention ng IMG ang pagkapanalo nila ng MUP, the door to better opportunities is now open even wider. Remove the glitz and glamour, even Jonas and the controversies being thrown to him, and you will see that at the end of the day Pageantry is still a business. BPCI cannot and should not stay in a time zone. MSMdeA has to be able to relinquish some stronghold in the selection of MUP henceforth. BPCI is hers no one takes that away from her, not even MUO/IMG can as the brand is patented and protected under the local laws of the land. But the caveat rears its ugly head: In the long run, a larger self-sustaining business interest shall prevail and toward this end, IMG/MUO shall prevail. It must be noted that MSMdeA has, in the interim, taken the lead at being receptive, transitioning a rebirth to MUP from the hegemony of a bygone Bb Pilipinas Universe era of old. On the other hand, Jonas has to be guided re the bounds of his authority. MSMdeA will not allow her policies muddled because the selection process still resides within her mantle. In his new appointment, Jonas will come as a catalyst of new and fresh ideas which have never before been tested to bolster and enhance what already has been existing from the get go. There must be clear delineation of functions (as Jonas is not a direct staff even with his recent MUO appointment!) and the scope and extent where authority and call begin or end must be defined. MSMdeA cannot allow a useless duplication because that could mean a diminution of scant BPCI resources if that happens. 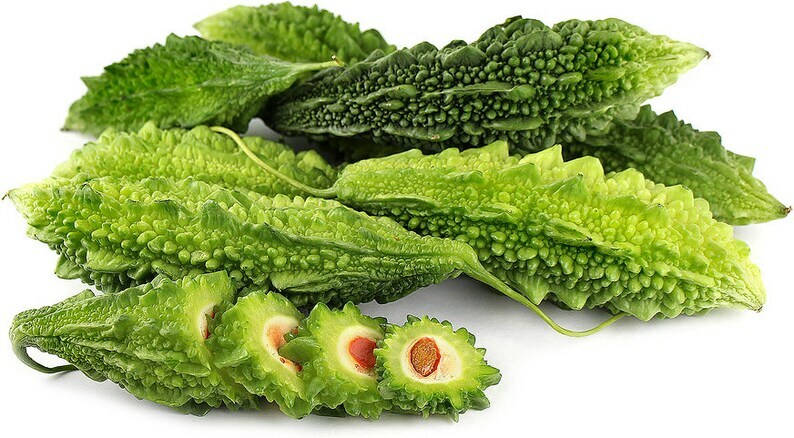 The process of selecting the MUP is lengthy and involves separate stages. Each phase translates to costs, both direct and indirect. 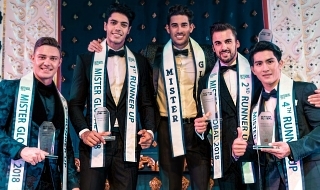 The attendant costs must be recoverable to make the pageant marketable and sustainable, therefore, a winning proposition if the venture has to progress from the core. This is where Jonas' expertise must come in. Introduce new ideas, enhance what is already there and not diminish what has been exemplified through the decades as being the perceived formulae. A cohesive synergy of talent and expertise (Jonas & Company) in tandem with the experience and resources of BPCI and its network of supporters and partners could work to benefit all parties involved - - the beauty pageant public in general, and the iconic Filipino pride in particular. Last edited by beautywatchnyc on Sat Apr 06, 2019 3:58 pm, edited 13 times in total. IBA NAMAN ANG NASESENSE KO. MUKHANG IN THE LONG RUN MAKUKUHA NA NG LCS GROUP ANG MISMONG Miss Universe BRAND AT IGIGIVE UP NA NG IMG...HELLO MANILA HEADQUARTERS AT GOODBYE NEW YORK? drew_andrew wrote: IBA NAMAN ANG NASESENSE KO. MUKHANG IN THE LONG RUN MAKUKUHA NA NG LCS GROUP ANG MISMONG Miss Universe BRAND AT IGIGIVE UP NA NG IMG...HELLO MANILA HEADQUARTERS AT GOODBYE NEW YORK? Could be a leap in the right direction. The abundance of professional and organizational talent in Manila will attest to that. There's no need for Madame Shugart/MUO to look any farther. Manila beckons and is positioned right in their doorstep. Last edited by beautywatchnyc on Fri Apr 05, 2019 7:28 pm, edited 1 time in total. I think that it is not really about Jonas, or LCS vs BPCI. In the surface it may seem like that kasi sya yung pinagkatiwalaan ng MUO Pero the thing is, it really is MUO capitalizing on Miss Universe popularity in our country. Philippines is MUOs cash cow, or at least that they are hoping that we will be. That’s why they really want to “strengthen” the brand here. With BPCI in the forefront, they couldn’t really do that kasi nga BPCI has different vision as an organization. They want more IMG Universe presence here para perahan tayo. At the end of the day, MUO pa rin talaga ang panalo. Kasi syempre ginagamit nila yung popularity at pagiging established ng BPCI for MUO and yung mga connection na nabuo nito sa Pilipinas. I think in the future, magiging independent na pageant na Ang MUP Kapag lumakas na talaga yung brand with the help of LCS of course at tuluyan ng hihiwalay sa BPCI. at Walang magagawa ang BPCI dyan Kahit ano pa gawin nila. Could be a leap in the right direction. The abundance of professional and organizational talent in Manila is proof to that. There's no need for Madame Shugart/MUO to look any farther. Manila beckons and is positioned right in their doorstep. Soon gob will takes over the MUO aka The new Trump. arkenken wrote: I think that it is not really about Jonas, or LCS vs BPCI. In the surface it may seem like that kasi sya yung pinagkatiwalaan ng MUO Pero the thing is, it really is MUO capitalizing on Miss Universe popularity in our country. Philippines is MUOs cash cow, or at least that they are hoping that we will be. That’s why they really want to “strengthen” the brand here. With BPCI in the forefront, they couldn’t really do that kasi nga BPCI has different vision as an organization. They want more IMG Universe presence here para perahan tayo. If they want capitalization it's not with BPCI because ever since it's ineption way back 1964, it's for charity. Even their name of the organization, it has charity like Binibining Pilipinas CHARITIES Inc. The winners work hard touring around the country raising funds for charitable institutions. On the other hand, if they want to have another business strategy to do in energizing the business, go to restaurant or pharmaceutical business where you can have hefty profits right away with return of investment in a short period of time. But not with Binibining Pilipinas because that strategy would not work in the Philippine's beauty pageant arena.The owner of BPCI, the Araneta's never capitalized this kind of business, they did with other business they have like one of many in Cubao. Madam Oxana, can I see your original post regarding this matter? If that's the case then Gob should prioritize Philippines' interests first before other countries especially Asian countries. Might as well buy the Mess Whoreld Org. I've read somewhere that Trump wants to own MW back in early 2000s. It would be the realization of the rumor.